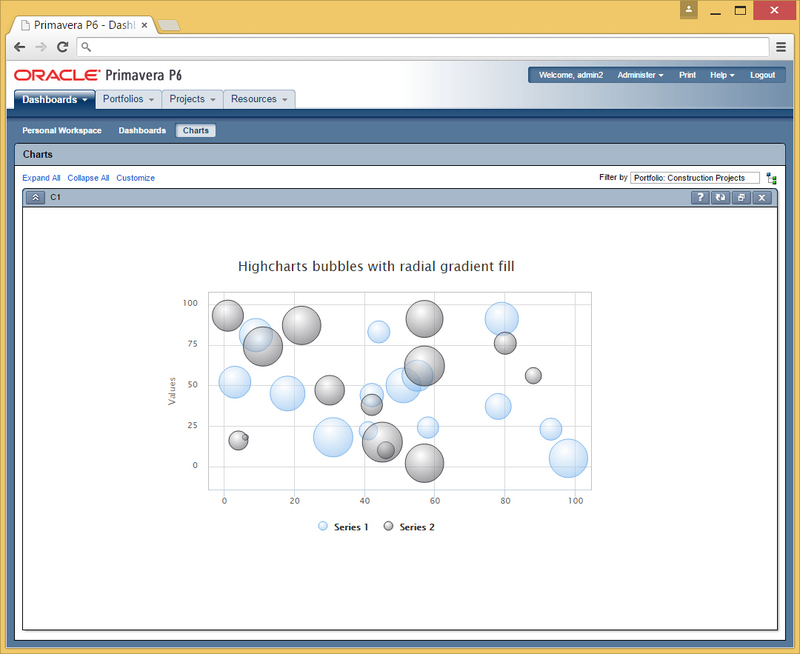 Here's a look at what is possible using Primavera P6 Portlets and dynamic charts. 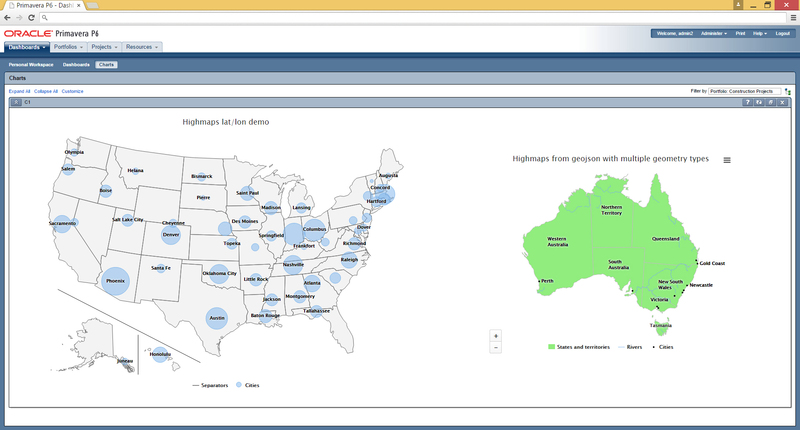 Create smashing, interactive diagrams for your project team. Examples include; line, spline, area, areaspline, column, bar, pie, scatter, angular gauges, arearange, areasplinerange, columnrange, bubble, box plot, error bars, funnel, waterfall and polar chart types. If you'd like more information on how to make these reports, get in touch with someone from our team.